Win with Omlet’s Great Easter Egg Hunt! Hooray – it’s Easter Weekend, and we all love an Easter Egg Hunt don’t we? Enter today for your chance to win an eggcellent Eglu Go Chicken Coop worth $495.00. There will also be 5 runners up prizes of our lovely egg ramps – the must have kitchen accessory. All you have to do is visit our website and look for the 6 eggs that we have hidden. Each egg that you find will have a number on it – once you’ve found all 6, add up the numbers and this will give you the winning number. To enter visit our competition entry page here and enter your details and the winning number. The competition closes at midnight on Easter Monday (17th April) and the lucky winners will be informed on Tuesday 18th April. Wishing you all a fun filled Easter Weekend! Terms and conditions apply: The competition closes at 23.59 17th April 2017. To enter please complete the competition entry page on Omlet’s website. 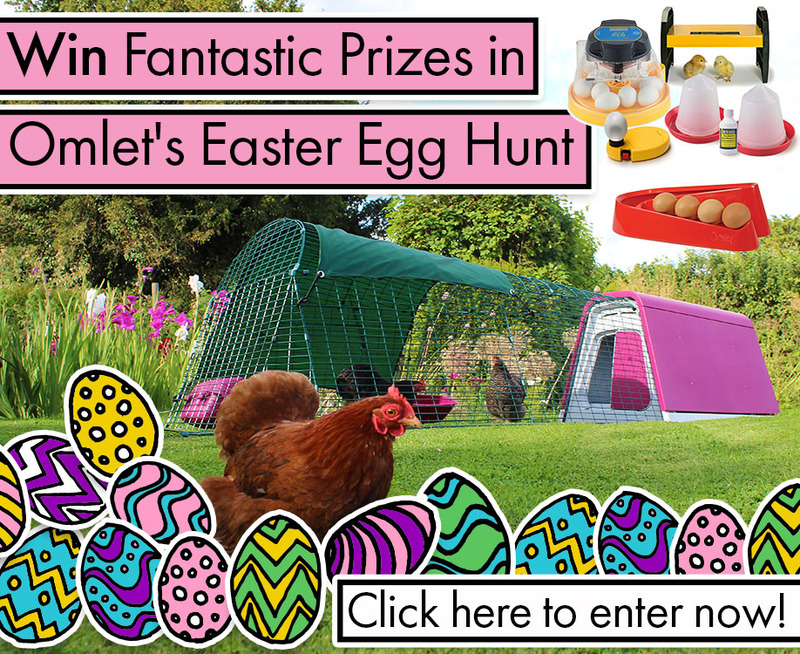 The main prize is an Eglu Go Chicken Coop, plus 5 runners up prizes of egg ramps. Delivery is included to US only addresses. The winners will be randomly selected and notified on Tuesday 18th April. Omlet reserve the right to withdraw the competition at any point. Prizes cannot be transferred to cash. This competition is only open to US residents.